If you have a bit of a sweet tooth and want a healthier breakfast option than many sweet breakfast treats, this recipe is for you. It’s quick and easy to prepare, and is a really nice change from a regular, run-of-the-mill breakfast. And even with a touch of sweetness, it still provides a healthy and attractive breakfast item that can be eaten without utensils. The other day I was in the mood for a small snack. I was craving something sweet, but wanted to have something I could feel good about eating. 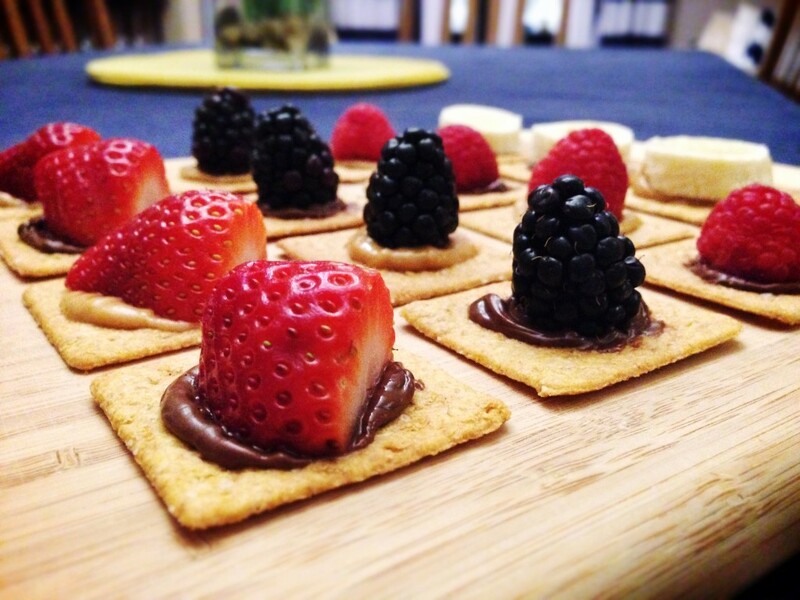 So I improvised and put together a few crackers topped with a dab of Homemade Peanut Butter and a piece of fresh fruit. The result was a simple, healthy, and tasty snack that has quickly become a go-to favorite. I’m a big fan of granola. But I find that many of the store-bought options are lacking in one way or another, such as being bland, containing ingredients I don’t care for, or containing unhealthy preservatives. 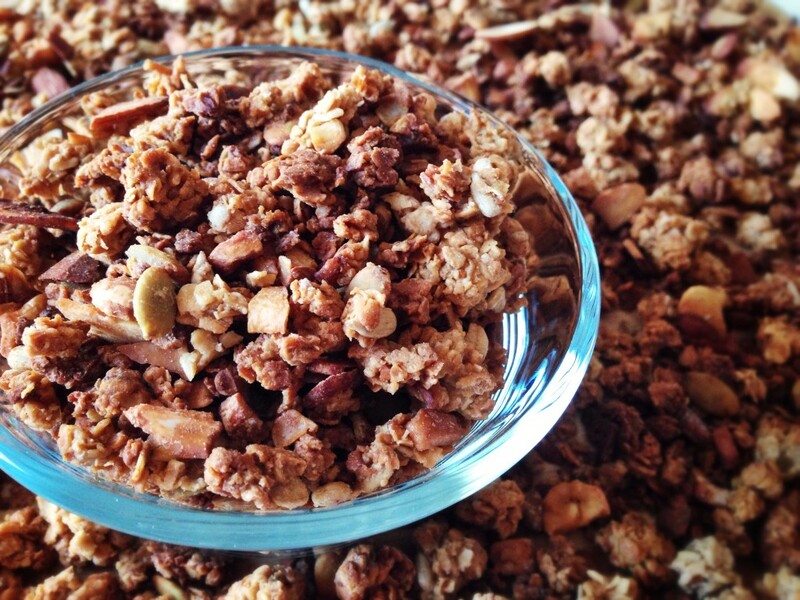 Luckily, I found a wonderful recipe on the Mother Nature Network website, which after a couple very minor modifications, is now my go-to recipe for Homemade Granola. 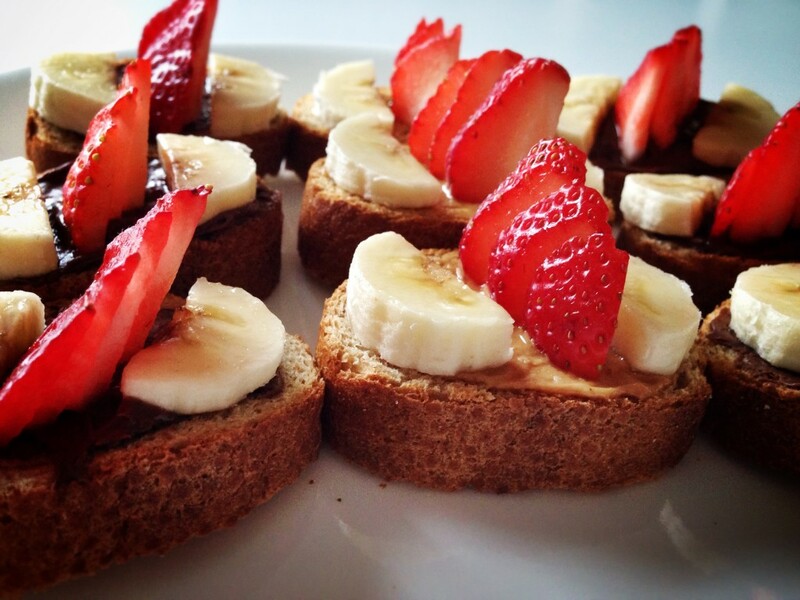 It’s really easy to make, and provides a great option for a natural, healthy snack. Some mornings, we all just feel like changing it up a bit for breakfast. 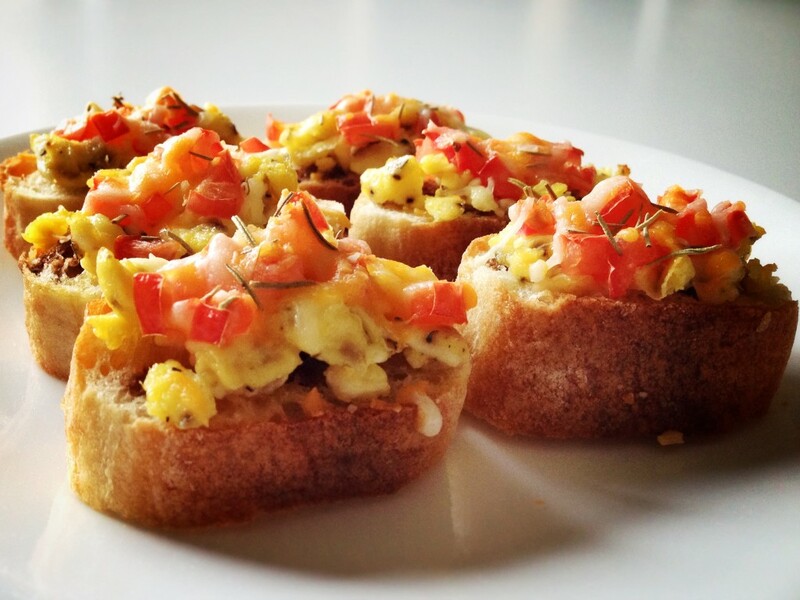 For instance, rather than just doing simple scrambled eggs with a side of toast, why not combine the two and make a healthy, savory breakfast bruschetta? It’s ridiculously easy to prepare, and really doesn’t take that much longer. And the result is a delicious, healthy, and attractive breakfast item that can be eaten without utensils. I’ve mentioned before that my wife and I have become big fans of trying new types of “bruschetta” for our meals. Last night we decided to pair an entrée salad with some Lasagna Bruschetta — a concoction I devised a few months ago to use up some leftover pasta fixings. 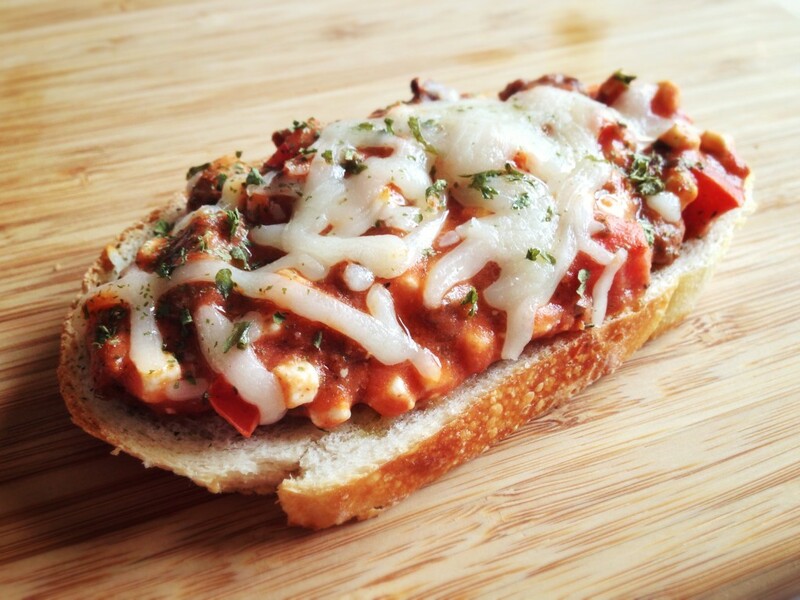 The thing I absolutely love about Lasagna Bruschetta is that it’s super-flexible. You can use a different types of cheese, fillings, and bread based on what you have on hand and/or your own personal taste. The recipe here uses low-fat cottage cheese and veggies for a healthy, vegetarian-friendly dish.